Hi there, big congratulations on your engagement and upcoming wedding! 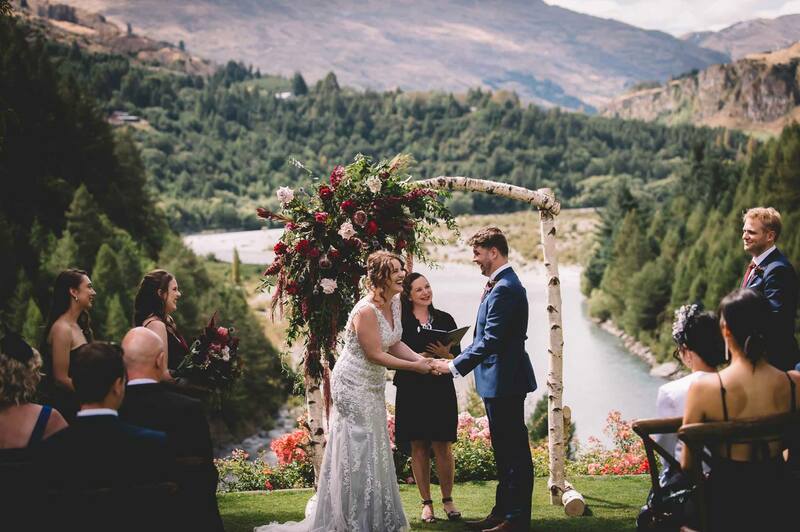 In 2010 I left my home town of Burnley in England and moved to Queenstown, New Zealand to reconnect with an old flame. It was clear pretty quickly that this time our flame was out for good, but my love affaIr with Queenstown was just beginning. I was too stubborn and having too much fun to think about returning to Blighty. Skiing all winter, riding my bike all summer, and a nice glass of local wine to finish the day… how could I leave this place? Then I met Brad, and when we decided to get married ourselves we knew we didn’t want a boring run-of-the-mill ceremony. 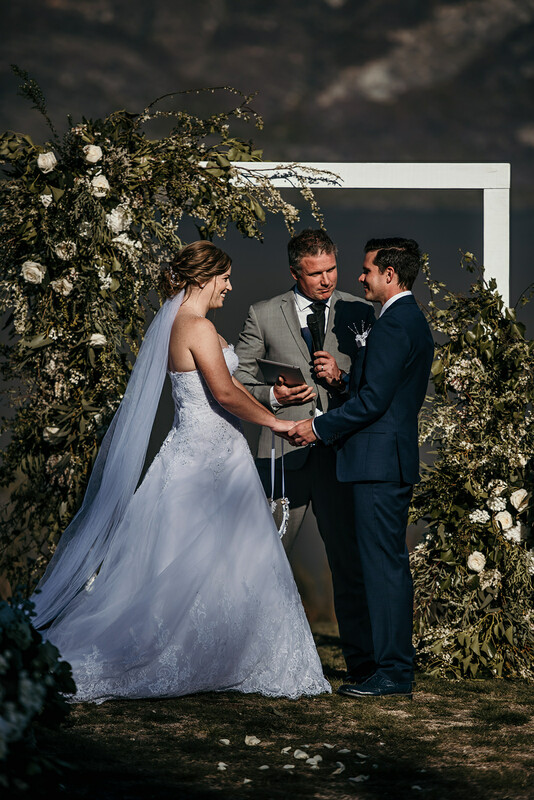 We struggled to find a celebrant who was young, creative and fun… so I decided to register as a celebrant and offer my services for other couples. I’ve always been a writer, love to play host, and am a confident public speaker. I like to bring creativity and a bit of fun to your big day. As a mum and an animal lover, I also get excited about including children and making sure that your pets get a special mention on your big day! I get to know you and your story, and this inspires the ceremony that I write just for you. I love all things Queenstown and wedding related. It’s a total pleasure to be involved in your wedding day, and I can’t wait to get started! Hi, I’m Hamish, a Southland boy at heart now living in Arrowtown, just beside Queenstown. I grew up on a large sheep and beef farm. After school I made my way to Lincoln University which is where I discovered the joys of hospitality. I went on to own and operate bars and restaurants in Wellington, then Auckland and eventually in Queenstown. These businesses and my travels around the world led me to meet, work with, host and take care of many people from all walks of life. Since our own Queenstown wedding I’m now a husband to my beautiful wife Jana, and dad to our adorable two children. I still dabble in the hospitality scene but my passion is all about weddings. 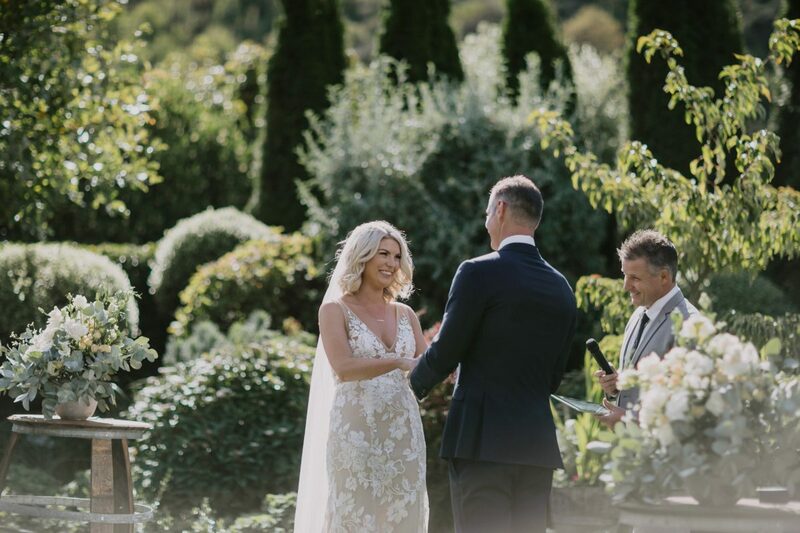 I decided to become a celebrant so that I can use my laid back farmer boy personality alongside my professional hopsitality skills to ensure that you’re comfortable and well looked after on your big day. Hello! 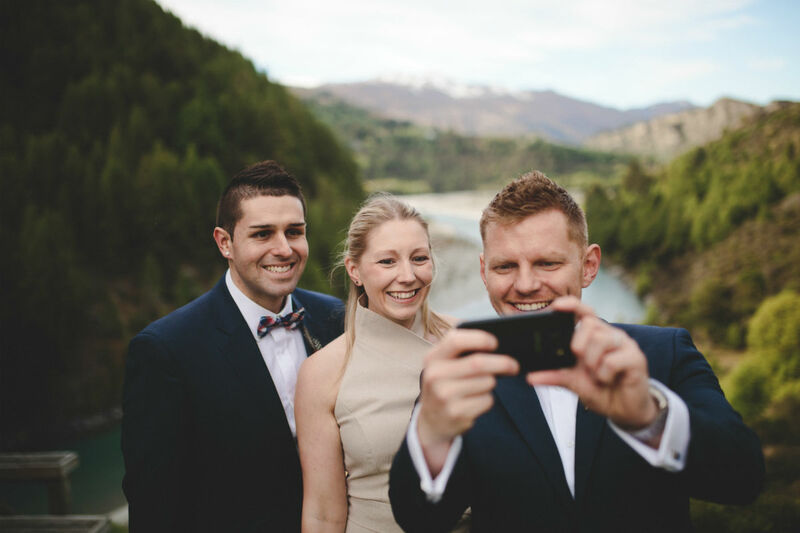 I’m Jodie, a born and bred Kiwi who is a complete and utter wedding and love enthusiast. After studying a Bachelor Of Communications degree I qualified as a journalist and became a creative writer for a local radio station. This led to an amazing 15 year career working in radio, events and marketing. In 2013 I met my now husband, Neil who woo’d me with skiing, hiking and adventure holidays to Queenstown and Wanaka. He had lived in this part of the world for many years before meeting me and was keen to move back. He didn’t have a hard job convincing me, and so I soon ditched the corporate life, packed my bags, and relocated to this magical part of New Zealand. 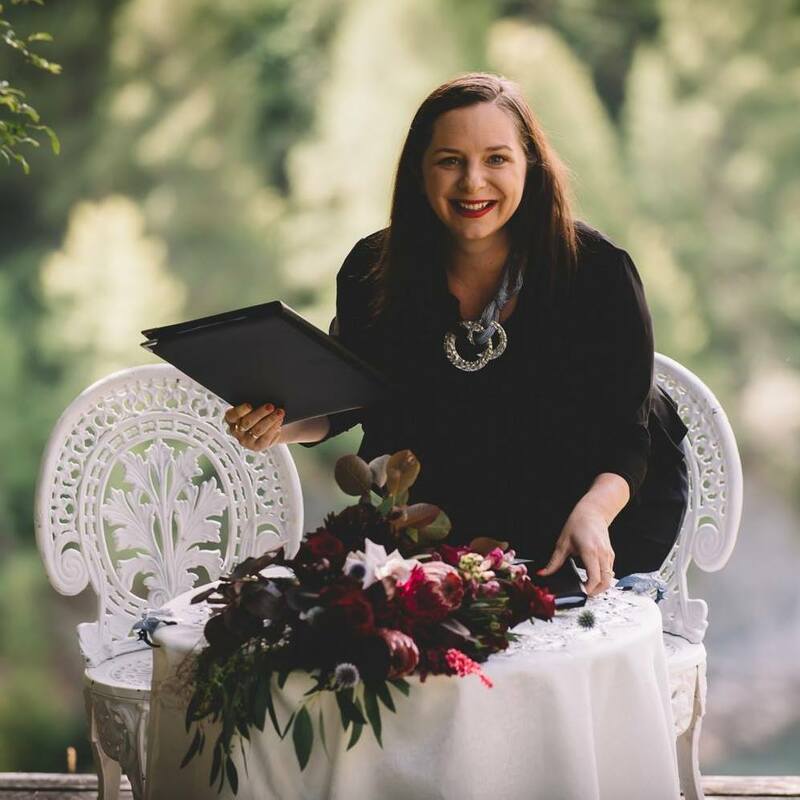 At about the same time I decided it was time to leave radio and marketing and try something new, so I mixed my love of writing, public speaking and weddings together and became a wedding celebrant. It’s a complete dream job! 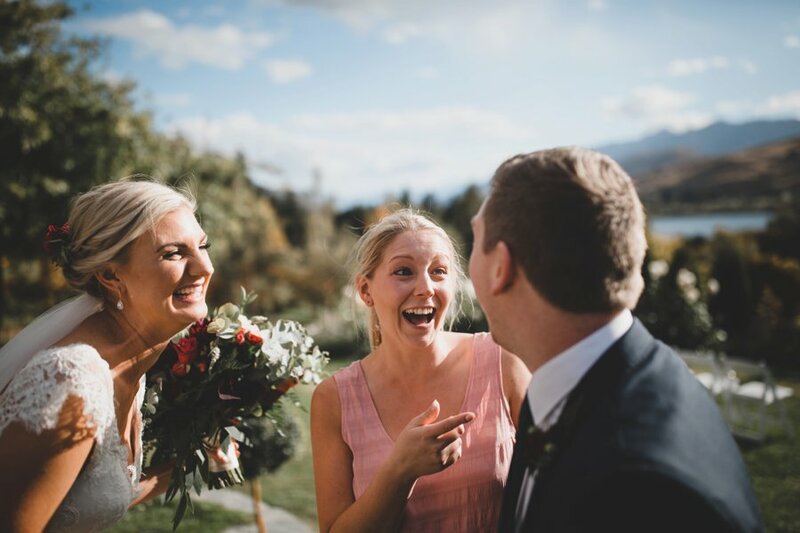 I now live in Wanaka (a short 1 hour drive from Queenstown), and absolutely love working with couples to make their wedding day extra special. I can’t wait to meet you and your person, and help you create the perfect ceremony just for you. No matter the size or style of your wedding, what you get from YBD is always the same comprehensive and professional service. We tick all the legal boxes, but have a lot of fun along the way! We want to learn more about your wedding plans and ideas, and answer any questions that you might have…say hello using the form below.